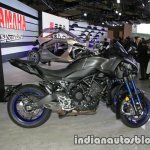 The Yamaha Niken and the Yamaha Tritown have made their global premiere at the 2017 Tokyo Motor Show, today. Here are their live images from the show. 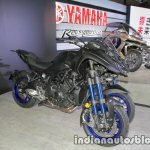 The Yamaha Niken employs Yamaha’s Leaning Multi-Wheeler (LMW) technology to reduce the effects of changing ride environments and to deliver a better stability when cornering. The dual tube upside down front forks are on the outside of the two 15-inch wheels. The rear uses a link-type monoshock. The front end gets a single disc for each wheel, with radial callipers, and there's a single disc brake at the rear. The brakes do feature dual-channel ABS. The new LMW vehicle is 2,150 mm long, 885 mm wide, and 1,250 mm high. Its headlights, tail lamp and the indicators are LED-type. The bike comes with a full-digital instrument cluster. 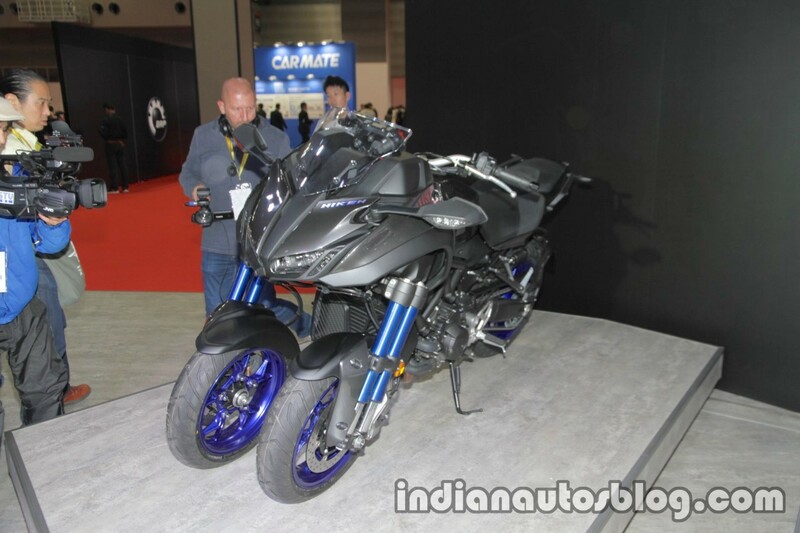 Powering the Niken, is an MT-09 based in-line 3-cylinder DOHC engine with liquid cooling and fuel injection. 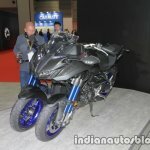 Yamaha has not revealed the power figures. The company says more details will be revealed on 6th November at 21.00 hrs. CET (Central European Time) at the Yamaha ‘Pioneers of Emotions’ EICMA Press Premiere in Milan, Italy. 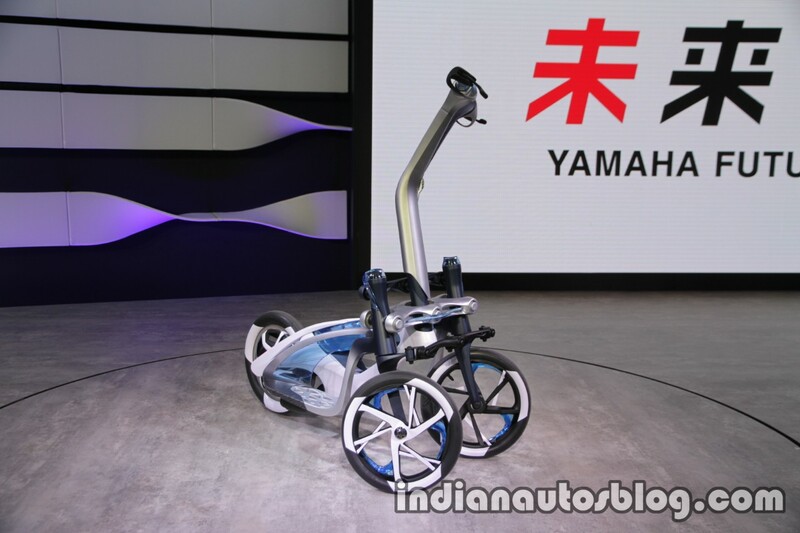 The Yamaha Tritown is a compact electric vehicle with twin front wheels. It also utilizes Yamaha’s Leaning Multi-Wheel (LMW) mechanism, and it is ridden standing up. The rider can control the vehicle using his/her balance. 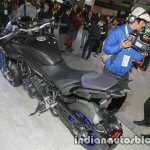 Yamaha has designed this three-wheeler for last mile connectivity. Its light, compact body, and the ease of its operation make it an attractive tool for short-range mobility for a wide range of people. A rear wheel hub motor propels the Tritown. This three-wheeler measures 1,100 mm in length, 600 mm in width and 1,130 mm in height.